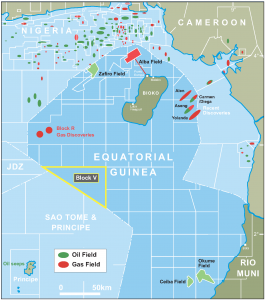 The Republic of Equatorial Guinea is the third-largest producer of hydrocarbons in sub-Saharan Africa, after Nigeria and Angola and has continued to see spectacular exploration success in the past several years. AFEX was awarded a production sharing contract for Block V in May 2010 after being the only small E&P company to have pre-qualified for the 2006 licensing round. AFEX subsequently farmed out a 50% working interest in Block V to Glencore in August 2010. A 2D seismic survey was undertaken over the whole block in May 2011. 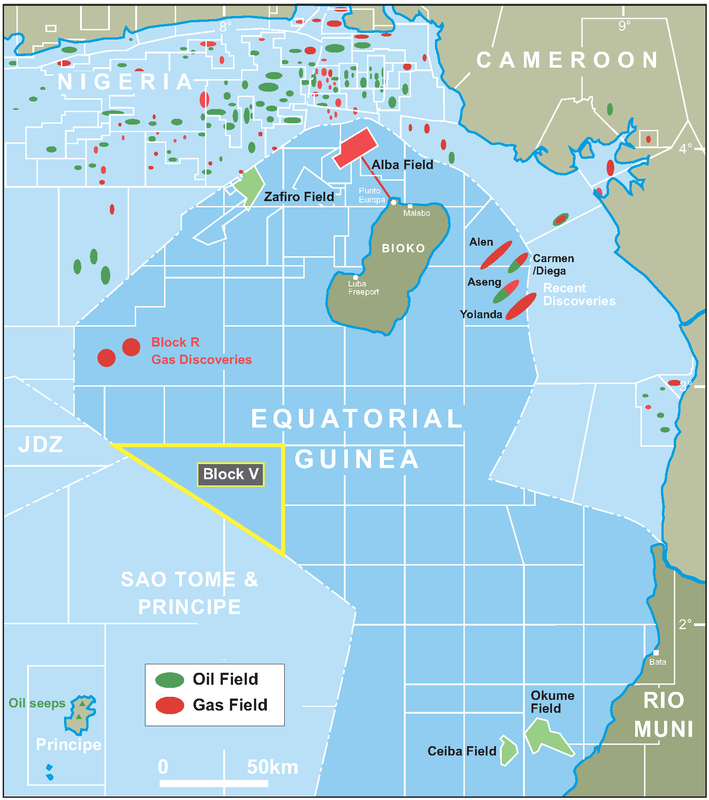 Block V covers an area of approximately 2000 km² in the offshore deepwater basin over part of the ‘Cameroon Line’ which is emerging as an important new exploration focus in the eastern Gulf of Guinea. Oil seeps are known from the nearby islands of Sao Tome and Principe attesting to presence of oil-mature source rocks in the region and deepwater sands that could provide potential hydrocarbon reservoirs are known from outcrop. 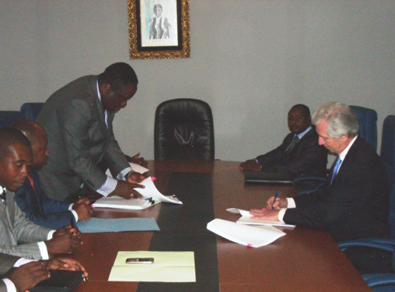 AFEX withdrew from Block V in September 2015 in order to focus on the Company’s prime asset, the Matanda Block in the Republic of Cameroon.